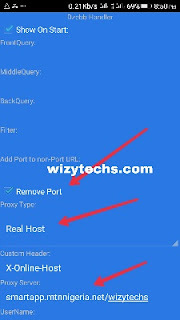 Hello MTN users, this Syponshield cheat is an alternative to the latest MTN free browsing cheat using Spark VPN that is currently working for few people. 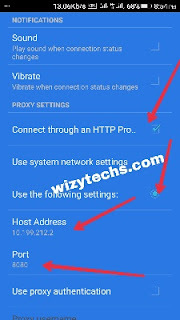 This Syponshield Settings for MTN cheat 2018 seems to work better and it's easier to setup because no config file is required in this method. 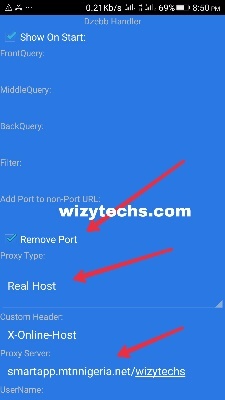 I have provided a customized proxy server to make sure it works for you and connects to almost all websites. If you have been a follower of my posts on this blog wizytechs.com, you should have come across the VPN app called "Syponshield" because we had previously used it to enjoy MTN cheat some years ago but now we have the latest configuration working right now in 2018. I have confirmed that this new MTN cheat is unfortunately capped at just 10MB for most SIM cards and you may be searching the web to know how to bypass the 10mb limit. I will advise you to try Syphonshield app settings because there is no harm in trying. Who knows, you may be the next lucky person to be hooked to unlimited free browsing and internet on MTN Nigeria. 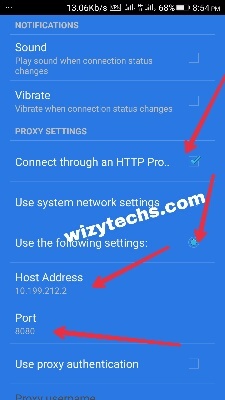 ✔️ Use MTN default APN settings. Once you hit the "OK" button, a Pop - Up like the screenshot below will appear, Click "Continue" to proceed. Now Allow Connection by just tapping "OK"
A new homepage will open with beautiful blue UI. You can select USA as your preferred location from the list of countries available in the app. (remember this app is free to use). ✔️ Advanced Settings - Leave As Default. Lastly, return back to the app menu and tap on "CONNECT". 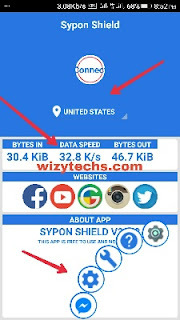 Immediately, the data will start reading in kilobytes KB and a VPN icon will appear in your phone notification bar showing that your phone is now connected and ready to browse without airtime or data. If you are among the few lucky ones, you will enjoy uninterrupted unlimited free internet but if not, you have to manage the meager 10MB freenet. 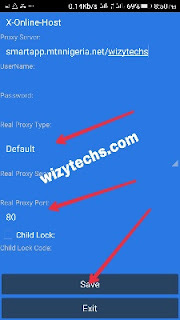 To enjoy this MTN cheat 2018 on PC, see this post and you will be glad you did. Also remember to join&nbsp;WizyTechs Telegram Group&nbsp;to chat with fellow tweakers and techies on wizytechs blog. Is it working for you as well? Let's know via the comments box. Is it a must to have no airtime or just active data subscription?